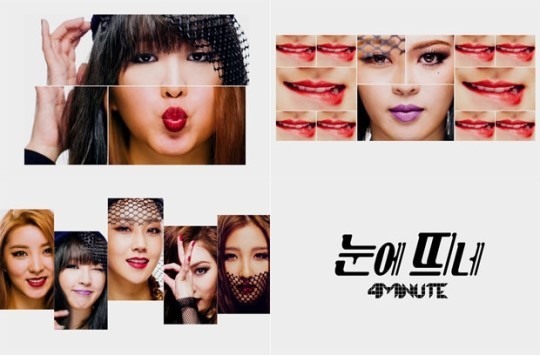 K-pop girl group 4Minute released a teaser video for its upcoming song “Stand Out” on Wednesday. The quintet unveiled the special teaser on their official YouTube channel and social media platforms, letting the fans have a taste of their next song. In the 17-second clip, close-up shots of each member’s eyes, nose and lips are collaged to form pop art-like faces against a white backdrop. The comical arrangement of the girls’ facial features adds a unique flavor to the funky disco percussion of the accompanying song. Lead vocalist Jiyoon wrote the music and lyrics of “Stand Out” under her songwriter pseudonym “Jenyer,” while 4Minute’s manager also took part in the production.